Little Big Town's Karen Fairchild used her time at the 2018 CMT Artists of the Year event to highlight a series of female country artists! More here. 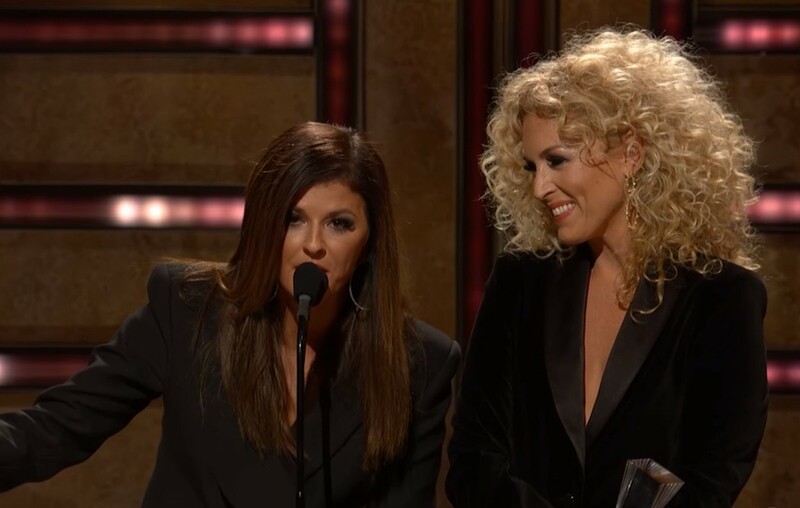 While onstage with fellow Little Big Town star Kimberly Schlapman, Karen Fairchild shared a strong message about women on country radio during her 2018 CMT Artists of the Year acceptance speech and read off the names of several female country singer-songwriters that deserve attention from the industry. “I can’t say enough about CMT for just honoring women and celebrating women when it’s really important right now. And I’m humbled and I hope I can live up to this honor,” Fairchild started off her statement. Watch the moment unfold below! For real. All of the artists Karen listed deserve attention from country radio and should be getting airplay. Although her time at the microphone was short, the Little Big Town star’s words have the power to carry on and help bring about change. Also during the event, Karen and Kimberly performed a “I Can’t Make You Love Me/Help Me Make It Through The Night” medley alongside the legendary Gladys Knight. Check out the performance! The all-female 2018 CMT Artists of the Year ceremony was full of big moments and powerful performances. We hope to see more events like this down the line. Be sure to use the list of entertainers above to bolster your streaming playlists, music purchases, and radio requests. Share Karen’s speech with other country music fans!